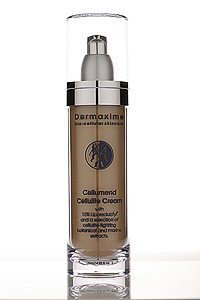 We used Black pepper essential oil to increase circulation and help remove cellulite - in the Cellumend formula. 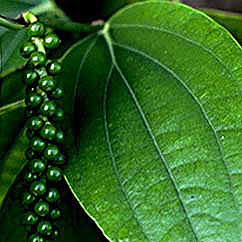 Black pepper oil is extracted from the plant Piper nigrum of the Piperaceae family and is made from the unripe red fruit of the plant. It is a strong and sharp spicy smelling oil, and is faintly reminiscent of clove oil, yet more refined and can range in color from light amber to yellow-green and has a watery viscosity. The essential oil is composed of various chemical constituents and includes the following: eugenol, safrole, thujone, farnesene, A-pinene, B-pinene, sabinene, limonene, beta caryophyllene, and camphene. The therapeutic properties of black pepper oil include the following: as an analgesic, antiseptic, antispasmodic, antitoxic, aphrodisiac, digestive, diuretic, febrifuge, laxative, rubefacient and tonic (especially of the spleen). Black pepper oil can be used to help in the treatment of pain relief, rheumatism, chills, flu, colds, to increase circulation, exhaustion, muscular aches, physical and emotional coldness, nerve tonic, and fevers. In cosmetic and skincare manufacture, its function is classified as a fragrance ingredient and is chemically classed as an essential oil.